We endorse the philosophy of continuous learning within The Logiskills Group and encourage both candidates and clients to participate and actively promote learning within the workplace. We have details below, selected courses and seminars run from supply chain associations and professional bodies. The Certificate in Logistics and the Diploma in Logistics and Supply Chain Management support personal growth and organisational capability improvement. They enhance competitive advantage and are critical in shaping business success. The contemporary supply chain environment includes various processes and technologies for the effective utilisation of key resources to achieve cost effectiveness and superior customer value. Organisations that fail to promote the development of logistics and supply chain skills will suffer as their employees struggle to keep pace with changes in our industry sector. The Diploma in Logistics and Supply Chain Management (SCM) is particularly suitable for experienced personnel who are seeking formal accreditation and acknowledgement of their practical skillset. Supply chain management is the management of the flow of goods and information through the value chain from order, materials acquisition to final consumption. It is about getting the right product, in the right quantity, at the right quality, in the right place at the right time, for the right consumer at the right cost. To achieve this, supply chain management takes in many of the functions of a business including forecasting, inventory management, purchasing management, warehouse management, and information technology and transport management. This degree programme is run in conjunction with the Institute of Technology Carlow. It equips graduates with the in-depth knowledge, skills and competencies in supply chain management to enable them to make a contribution to the business community both nationally and internationally. CPD courses are designed to help you maintain and improve your knowledge and competency throughout your working life, ensuring your skillset meets the requirements of today’s fast-changing business environment. However, it can be challenging to establish an improvement system in your own workplace. The Certificate in International Trade awarded by the Irish Exporters Association is a new initiative for 2019. It is the only course of its kind in Ireland to unite the practical and operational aspects of international trading. The Certificate is not academic, it aims to promote practical on the job learning, to meet the growing skillset required for anyone working in international trade operations and regulations and to understand the key issues affecting the industry. People at all levels in organisations require broader perspectives combined with the ability and motivation to manage change. Existing management must constantly develop their competencies to manage the business from strategy through implementation to competitive operation. There is a prime need for the best young brains to provide a fresh, innovative impetus. In support of this need Executive MSc in Supply Chain Management provides training and education of a high academic standard and relevant to modern industry. The programme is aimed at the "high-flyers" who will be the world-class managers of the future. There is a growing recognition of the importance of logistics and Supply Chain management issues in companies in Ireland.The necessary improvements can not be achieved without properly educated and trained “supply chain professionals”. NITL provides modular programmes of varying standards with a view to achieving certification. Undertaking the MSc or Diploma/Certificate programmes requires a certain level of commitment and dedication which may not be suitable to your personal circumstances at this moment in time. The IIFA FIATA Diploma in Freight Forwarding is an internationally recognised qualification covering the cornerstones of the Freight Forwarding and international Supply Chain industry. Over a ten month period (September – June each year), Participants are posted 10 training manuals on different areas of Freight Forwarding (Air Freight, Sea Freight, Customs Clearance, Dangerous Goods etc.) and are given between 3 – 4 weeks to study each module. Throughout that month study aids in the form of online videos (available to view on-demand) and assignments are also made available via e-mail. At the end of each month participants then take an online multiple-choice test. At the end of the 10 modules there will be a break of 3 – 4 weeks before a Final Examination, which will take the form of a 3-hour written test, held in Dublin. Course material is updated annually and is validated by FIATA, the International Federation of Freight Forwarders’ Associations, and is administered by IIFA Staff with QQI Level 6 Training Delivery & Evaluation qualifications. Split into two parts, this course is designed by professional Customs Brokers in order to raise awareness and understanding within the industry of the role and importance of Customs and how to interface with Customs. Section A covers an academic Awareness program which will assist Management and Staff to develop and implement practical steps within their companies to deal with BREXIT. Section A also includes an extensive and up-to-date training manual, access to two on-demand webinars and telephone support. Participants are required to complete an assignment (based on TARIC database use and Duty + VAT calculations) and online test to ensure that material is learned and not just consumed. Section B, the Practical SAD Completion Course, is essential for any company planning to perform Import or Export Customs Declarations. This section features training on practical completion of Customs entries using live software but also aims to install an understanding of rules and regulations behind the Customs procedures. Section B will also features a separate assignment, focused on using Customs Clearance software provided by Thyme-IT. This two year, part time programme is a first step to achieve an internationally recognised professional Honours Degree in Procurement and Supply Management. The Higher Certificate provides the student with a mix of procurement and general business modules with a strong focus on operational issues in procurement and supply. It also introduces basic quantitative methods used in research projects to develop functional knowledge and its application in a procurement role. On successful completion of the 11 modules, the Higher Certificate in Business, Procurement is awarded by QQI and students can progress to the Bachelor of Business Ordinary Degree. The programme will build on the knowledge that has been developed at the earlier level of study and is also a prerequisite for entry to the honours degree programme. It is a vital step towards membership of the IIPMM and by graduating from the programme, you will be invited to join the IIPMM members club. The aim of this level is to develop an in-depth understanding of business management and purchasing and supply function. It will build on the earlier modules at level 6 and 7. Learners are expected to have a capacity to draw complex information together and, reflect on their own practice and skills. They will demonstrate this in a research assignment. 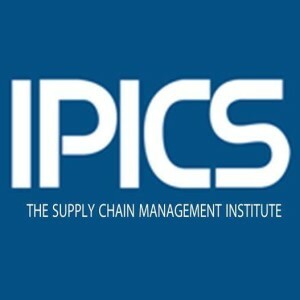 The Certification in Production & Inventory Management (CPIM) was launched by APICS in 1973 to provide a common basis for individuals to assess their knowledge in the evolving field of materials management. Since then, APICS certification has become recognised around the world as a standard of professional competence in Supply Chain Management. The CPIM program is currently divided into five modules, each covering specific, in depth aspects of production and inventory management. The basic concepts in managing the complete flow of materials in a supply chain from suppliers to customers are covered in the Basics module. This module covers manufacturing, distribution, service, and retail industries. This includes the fundamental relationships in the design, planning, execution, monitoring, and control that occur. Knowledge of the material in this module is assumed as a prerequisite for the other APICS CPIM modules, which cover similar topics in much greater depth. Demand Driven MRP is the latest advancement in Supply Chain Theory. Built on the experience of Supply Chain practitioners over the past 50 years, this holistic approach goes beyond traditional challenges faced with MRP and cost centric practices, to a new process aimed at managing flow and agility. DDMRP is based on actual throughput, so forecasts play not part in replenishment! As a major provider of education and training, the Institute of Chartered Shipbrokers Ireland facilitate lecturers, examination centres and exams for the membership syllabus, providing the shipping industry with highly qualified professionals. ICS is the only internationally recognised professional body in the maritime arena and it represents shipbrokers, ship managers and agents throughout the world. With 24 branches in key shipping areas, 4000 individuals and 120 company members, the Institute’s membership represents a commitment to maintaining the highest professional standards across the shipping industry. As part of a professional body, members can enjoy many benefits and a number of opportunities which enhance their career in the shipping industry. The Logistics and Supply Chain Management Foundation Diploma course is an excellent introduction to the latest concepts of logistics and supply chain. Logistics involves a wide range of activities including inventory management, warehousing, distribution, transport, and customer service. The logistics course covers both logistics and supply, at foundation level and will provide you with the latest techniques to implement cost savings, necessary to gain competitive advantage. Supply chain management involves purchasing and procurement, sourcing reliable suppliers across the globe and maintaining continuity of supply at the right price. The Purchasing and Procurement Certificate course is an excellent foundation and entry level course for individuals with no prior experience in procurement. This course is ideal for buyers and anyone interested in developing a successful career in the field of procurement. If you wish to progress in sourcing, negotiation and procurement within a business environment, then this course is for you. CMI offer a Procurement & Supply Diploma level 4 UK course (equivalent to level 6 Ireland) awarded by CIPS delivered over a six month period by evening classes once a week or by online learning. Important areas such as Purchasing, Supply Chain Management, Sourcing in Procurement, Negotiating and managing contracts are covered. The Advanced Diploma in Procurement and Supply is a UK level 5 advanced chartered qualification awarded by the prestigious CIPS, the Chartered Institute of Purchasing and Supply (UK). This procurement and supply chain management course is designed for intermediate to senior procurement and supply professionals who have completed the Diploma level 4 UK CIPS qualification. This course will bring your learning to the next advanced stage. Exploration into management, risk management and managing supply chain performance will ensure you can deal with any possible issues that may arise and affect the supply chain. The Professional Diploma in Procurement and Supply is a level 6 UK post graduate qualification (broadly comparable to a level 8 in Ireland) which is awarded by the prestigous CIPS, Chartered Institute of Purchasing and Supply. This course is designed for middle and senior purchasing and supply managers who have completed the Diploma level 4 and Advanced Diploma level 5 CIPS qualifications. This course will bring your learning together to a new level. The Certificate in Public Procurement offers you an opportunity to learn about the public procurement process and ensure you are in compliance with all national and EU procurement regulations.In this intensive 10 week programme, you will learn about public procurement processes and procedures as it applies under EU law in Ireland. This diploma is targeted to individuals who wish to further their knowledge in the areas of procurement and supply chain management. This focussed diploma is designed to provide participants with a comprehensive introduction to procurement, supply chain design and supply chain management. It is intended to equip participants with the knowledge necessary to identify and select appropriate procurement and supply chain strategies. Students will be introduced the concepts of procurement and supply chain management. The concepts of value chains, value chain analysis and supply chain optimisation will be examined. Students will be introduced to the importance of aligning procurement strategy with the business strategy within an organisation. They will also obtain knowledge of how the SCM concept has profoundly influenced traditional purchasing management approaches and philosophies. To introduce participants to the procurement & logistics world and expand their understanding of a humanitarian response from a logistics perspective. To review actual events and the implications of decisions made. The new innovative Logistics Associate Apprenticeship (QQI Level 6 programme) is a two-year programme delivered by DIT School of Managment, Aungier Street, Dublin 2. It involves four days per week on-the-job, and one day per week off-the-job in college. On successful completion of the Logistics Associate apprenticeship the apprentice is awarded a Level 6 Higher Certificate in Logistics. DIT School of Management are delighted to be chosen as the educational provider of the Logistics Associate Apprenticeship, with collaborative and innovative industrial engagement with the logistics and transport industry, professional bodies and employers. This new apprenticeship programme is the first non-craft based apprenticeship to be offered by Dublin Institute of Technology (DIT).